Any idea what part of your roof will usually leak first? Unequivocally, the answer is the valley. I’ve been on hundreds of roofs over the last decade, and it’s always the same. The shingles in your valley will deteriorate at a faster rate because they serve as “catch-alls” for, well, anything that falls on your roof. All water aside, though, your valleys also take snow accumulation, ice dams, leaves, pine needles, seeds, tree branches, and any amount of other random debris. This debris builds up over the years and traps in moisture, which also aids in the process of deterioration. Bottom line – your valleys take a beating, baby! What do we do to combat this abuse? My crew QUADRUPLE-LAYERS all valleys to assure you that they WON’T be the first place for water to penetrate as your roof slowly expires. We do this by first installing a 20″ wide layer of aluminum flashing from top to bottom. Next in the process comes a double layer of 15# felt (tar) paper swooped through the entire valley and up the other side. Finally, we nestle our shingles (centered over the valley) nicely in place, and finish with an impeccably straight tarred valley seam about 3″ up from the lowest point (where the water will run). All the while, we never place any nails or staples within one foot of either side of the valley. 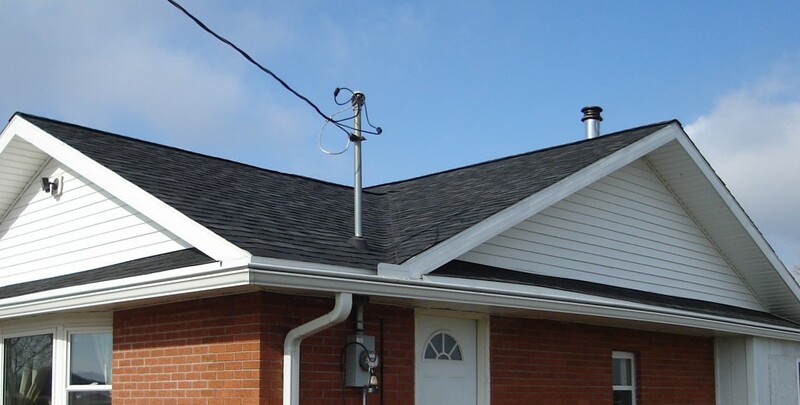 In addition, homeowners with a lower pitched roof may request (or we may recommend) something called ice guard, which is like a sticky-backed tar paper. 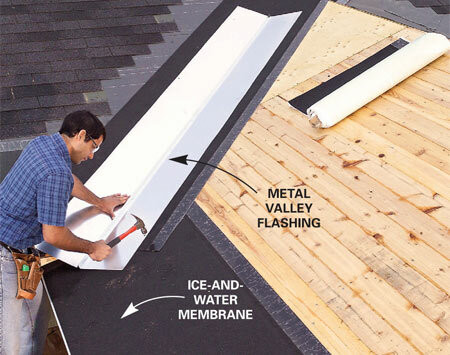 Its purpose is to stick to your decking (under all other layers) and prevent ice dams from seeping beneath your shingles. That’s FIVE LAYERS in some cases! Good stuff! Not all roofers complete valleys in this way. In fact, we tear off many roofs with only ONE layer of protection. Don’t let the BIG V get the best of you! Call me for a free roofing bid – (419-212-3200).